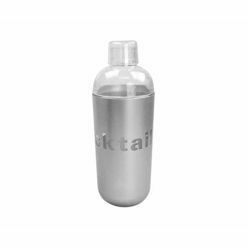 Thank you for your interest in our Stainless steel cocktail shaker. Please complete your details on the 'Quick Quote' form and click the Submit Button at the bottom of the page. 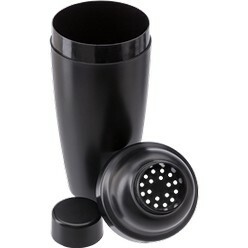 A customer service consultant will contact you about the Stainless steel cocktail shaker with a quotation. 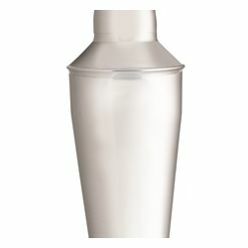 Stainless steel cocktail shaker, made of stainless steel, silver in color, used in making and serving the cocktail. 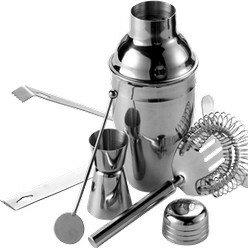 The stainless shaker is where all the mixture for the cocktail are mixed together, stand upright, with a narrow opening at the top, slant sides and a well covered flat bottom that makes it stand uprightly. They are mostly used at the bar and bartenders do flip them to mix it thoroughly before serving.